When you need glass services, trust Greene Glass LLC! Serving Racine, WI and the surrounding local areas of Southeastern Wisconsin, we take pride in providing a full range of residential and commercial glass services. We’re committed to the satisfaction of our customers and invite you to put our decades of experience to the test for your glass repair, installation or replacement. Dealing with a broken pane of glass? Need a professional to replace a damaged pane? Want an estimate on a brand new glass installation for your home or business? Greene Glass LLC is here to satisfy your needs. We’re here to provide glass services to residential and commercial customers throughout Racine and Kenosha as well as Oak Creek, Caledonia and Union Grove areas. When you need glass repair in Racine, WI, we’re the first place to call for fast service, affordable pricing and superior results! We’re your all-purpose glass experts, with solutions for any and all projects. Our business is locally-owned and –operated in Racine, WI. We’ve been in business since 1974, with decades of experience behind us! We’re an accredited member of the Better Business Bureau (BBB) of Wisconsin with an A-plus rating. We offer free estimates on all services to potential customers. When it comes to glass repairs and replacements, there’s no one better in the business than Greene Glass LLC! 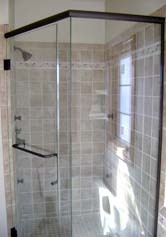 Get in touch with us today for a free estimate on your glass project.